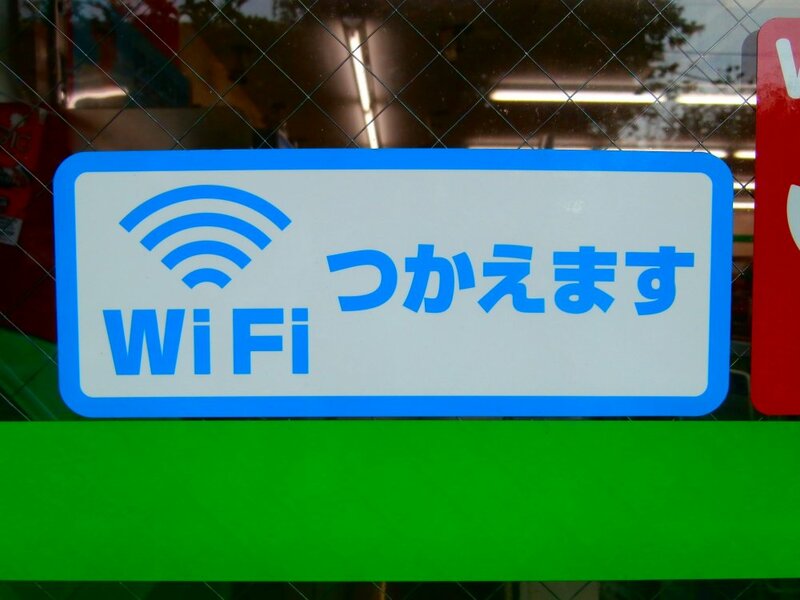 The Wi-Fi sign - approximately 8,000 of their stores now let you access the free Wi-Fi service. 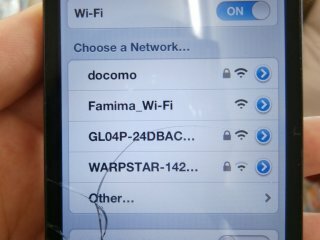 Walk inside the store and select Famima_Wi-Fi (at first I was using my iPhone 4 with the cracked screen, I apologize for the unsightliness). 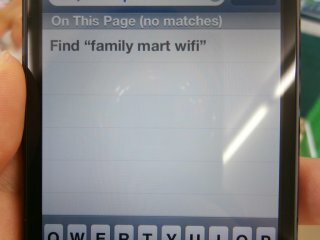 Once you select the Family Mart Wi-Fi, go on your browser and type in "family mart wifi". This page mainly tells you how they manage your personal information. Scroll down and tick the small check box so that enables you to press the '同意して利用する' (Agree, and Use) button, and press it. That takes you to this page. Press the '利用する' (Use) button beneath the orange bar. 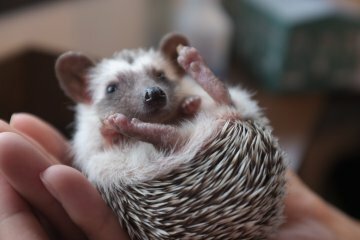 If you've already registered to the service before, fill in your 'メールアドレス' (Email Address) and 'パスワード' (Password) and press 'ログイン' (Login). But if this is your first time to use the service like me, press the '初回利用登録' (First Registration) button. Now you will see a page on the wireless LAN security information. Scroll down and tick the small check box to enable the '同意して登録する' (Agree and Register) button, which you will have to press to go onto the next step. This is the registration form. Put your 1: email address twice 2: password twice (6-12 letters or numbers), and 3: select your gender (男性 = male, 女性 = female). After filling out your form, scroll down and press the '送信' (Send) button, and a verification email will be sent to the email you've written down. So close your browser, and open your mail box to check for the vertification email. Receiving the email may take a while. Jump to the link in the email. You will see this screen saying that now you can enjoy the service anytime. 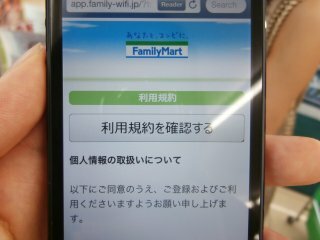 Type in "family mart wifi" on the search engine again, and then it would lead you to this page, so select the '利用する' (Use) button below the orange bar. 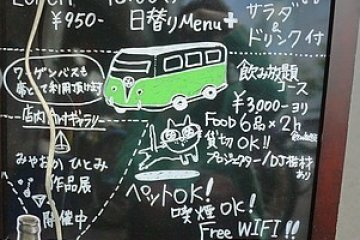 The red letters on the next page are an explanation of the free Wi-Fi service - you can only use free Internet 3 times a day, 20 minutes per time. 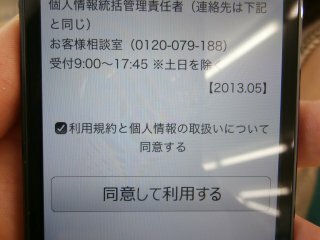 Tick the check box and press the '同意して利用する' (Agree and Use). 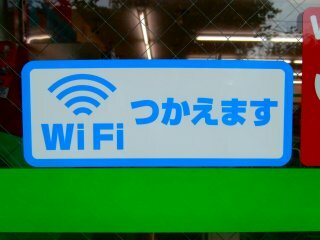 You may assume that Japan is a technologically advanced country and that you'll definitely have access to your online world 24/7 during your trip, but unfortunately, it's not an easy task to find Wi-Fi in Japan. However, with a little bit of preparation, the useless tablet or smartphone you have been carrying around can still turn into a wonderful door to the Internet. 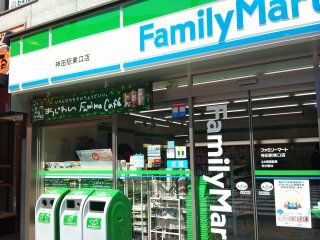 I tried out Family Mart's free Wi-Fi service, which was good quality (fast and smooth). 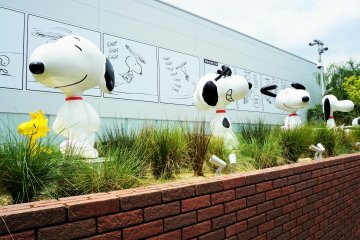 I'll first show you how to do the preparation in the store and then how you'll be able to connect to the Internet with some demonstration photos. 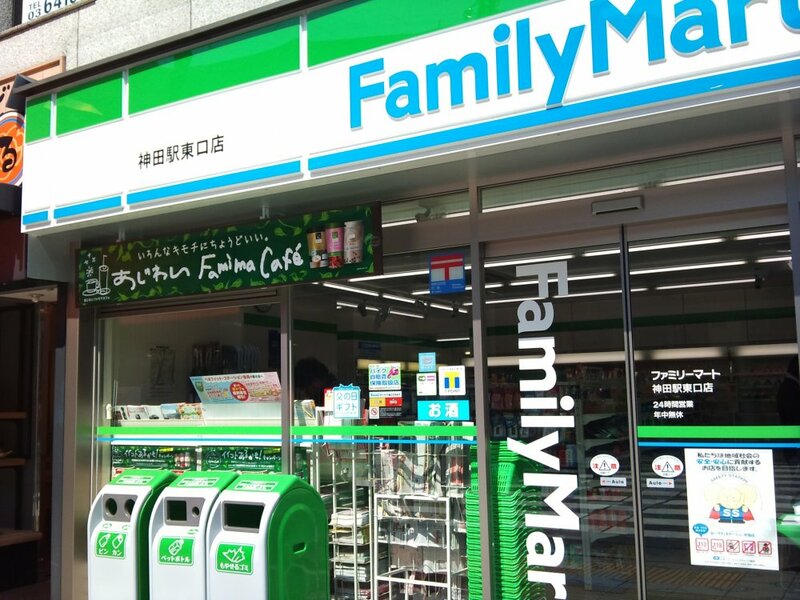 Note: They do not currently have an English page for the Family Mart Wi-Fi service, so I recommend that you follow the pictures carefully and in the correct order. 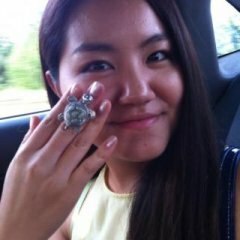 A Japanese university student that used to live in Canada, not so Japanese, loves traveling, enjoys experiencing anything new and exciting, and has passion for music.